Testing for radon is a simple and inexpensive. Any home in any area can have a radon problem—even apartments, if they are below the third floor. 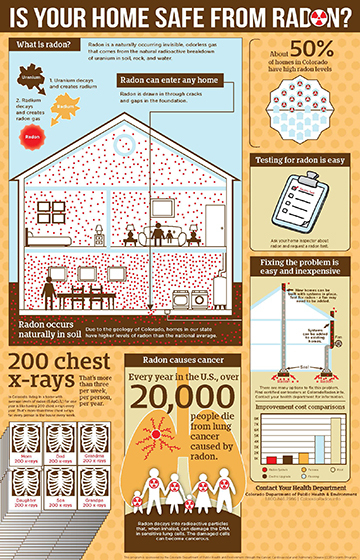 Millions of people have tested their homes for radon. Do-it-yourself kits allow you to test your home radon levels yourself. Test kits can be purchased, at most local hardware stores or from online retailers. If test results show that your home does have a high level of radon, don’t worry, high levels of radon are easily remedied. Needed repairs often cost no more than many other common home repairs (ranging from $800 – $1,200) and will not change the appearance of your home. For information about reducing your home’s radon level, go to our section on radon mitigation or Understanding Your Test Results in the Citizen’s Guide to Radon.